Isn’t it strange to see rocks coated in this way. 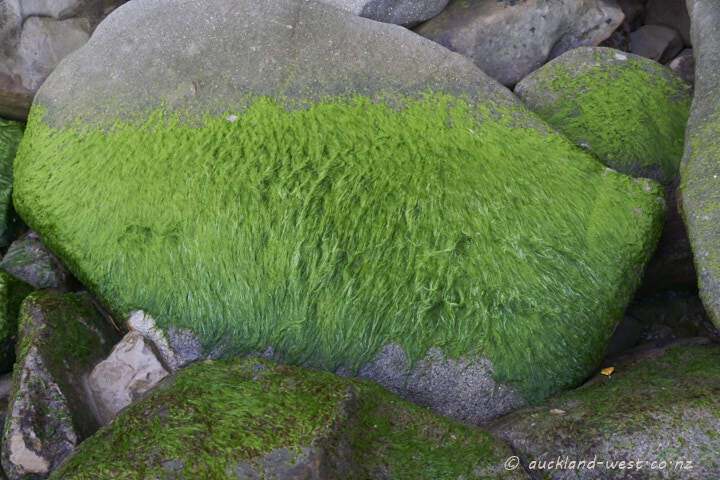 I saw rocks all thick with a green coat on my peninsula. When I checked my images, I noted that the green appears a little fuzzy. Your image seems to indicate the same. Very difficult to sharpen. We have rocks like that too. They make good photos!